Jason Goes to Hell. . HD Wallpaper and background images in the Jason Voorhees club tagged: jason voorhees friday the 13th jason goes to hell the final friday part 9 fan art. 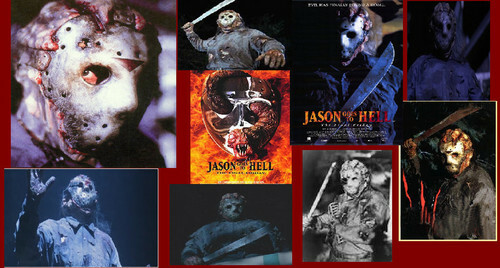 This Jason Voorhees fan art might contain anime, grappig boek, manga, cartoon, and stripboek.